When people are injured in a motor vehicle accident, The Main Law Firm is there to provide them with solid counsel. We regularly represent people throughout Winter Park, Florida, and the surrounding areas. Our staff knows that this is a difficult time for people and their families. During a free initial consultation, we ask questions to assess how the accident has affected them emotionally, physically, mentally and financially. Once we have a clear picture of the situation, we describe how the laws apply and what the next steps are. Throughout their case, we keep clients informed of where their matter stands and answer any questions they have. Clients have praised our law firm for our ability to obtain results, our hard work, and our dedication to protect their best interests. If insurance companies are unwilling to give a fair settlement, we take the matter into a courtroom. As a former prosecutor, our lead attorney, Jedediah “Jed” Main, knows how to build a compelling argument. He has received the highest rating possible of AV Preeminent* from Martindale-Hubbell and has an Avvo “Superb” rating. 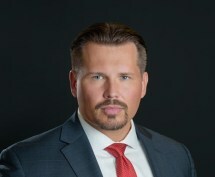 He has also been recognized by The National Trial Lawyers as one of the Top 100 Trial Lawyers, by the National Academy of Personal Injury Attorneys as a Top 10 Attorney, and by the Florida Trend magazine as a Legal Elite Up & Comer. The Main Law Firm handles accidents involving buses, pedestrians, bicycles, motorcycles and tractor-trailers. Our experience covers drunk driving, distracted driving, car passengers, underinsured/uninsured drivers and work-related collisions. We also accept cases concerning workers’ compensation, personal injury protection insurance, defective products, and premises liability.